It’s the happiest day of your life! Your wedding day… Best. Day. Ever. Smiles, hugs, the white gown, the champagne, the first dance, the cake, and the limo. Laughter peels through the air. Fleeting memories of vows and eager faces, music hanging in the air. Although, you could do without the bit of the mother-in-law drama! 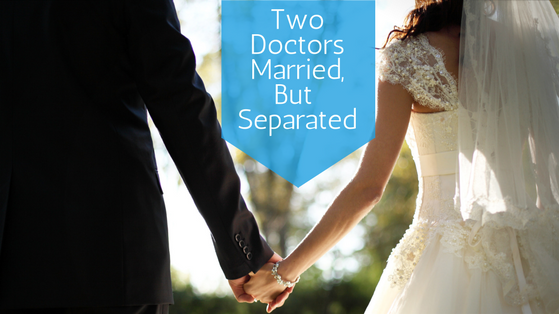 You’re a physician who is married to another physician. There is no doubt, the 2 of you have an incredibly bright future ahead of you. After all, you’re going to be making almost $400,000 combined! You’re just getting through the final year of your residency. Practice is just ahead! You’ll finally be able to buy a house, go on vacations, and not be scraping by on a champion’s diet of apples, oranges, and top ramen. Then it hits you like you just ran into a brick wall—$500,000 of medical school debt…. How the heck are you ever going to get out of that debt? Is it going to take 20 years? 30 years? Luckily, you read this article and you’ve enrolled in the Public Service Loan Forgiveness Program (PSLF) and you think it may only take another 8 years if you are lucky. However, the payments are going to be killer in another year—almost $5,000 a month between the two of you! That will kill the hopes to save for a home quickly. How the heck could you afford it? We just got married and now we have to get separated? Okay, I don’t mean that these 2 physicians have to get separated legally, but instead be married filing separately on THEIR TAXES. The 2 currently do not have to be one and the same. It is a choice! I had this same situation happen to me recently when 2 physician clients came into my office to explore their options on re-paying their debts. DISCLAIMER: These are 2 physicians who are working in a hospital setting, thus under a nonprofit. Remember, in order to qualify for loan forgiveness under PSLF, you have to work for a nonprofit or a government entity. We explored the differences between married filing jointly versus married filing separately. I was astounded by the results. Below are 3 tables showing several scenarios we ran to show how married filing separately versus married filing jointly can affect your payments, and thus the potential loan forgiveness. In this real-life scenario, the wife is now in practice—she transitioned in July of 2014. He is 2 years behind and will be transitioning to practice in July of 2016. Keep in mind that the IBR payment changes AFTER you report your income—let’s say by May of each year. For simplification purposes, we will assume it happens in January of each calendar year. The wife—Dr. Giselle Smith—$110,000 in eligible student debt. The husband—Dr. Tom Smith—$315,000 in eligible student debt. We could go on and on, but check it out- you could be saving yourself literally HUNDREDS OF THOUSANDS of dollars IF your debts get forgiven through PSLF PLUS being married filing separately. Keep in mind to look at this decision holistically before jumping in the pool and filing this way. There are real-world tax consequences to this decision when you file for taxes as married filing separately versus married filing jointly. In this particular instance, the difference was minimal—only about $2,000 per year in combined federal and state income taxes. It made far more of an impact on their debt reduction to go for it, rather than take the cash flow hit. 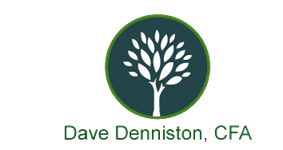 Make sure to discuss any potential tax impact with your advisors so that you fully understand the consequences. Now make a plan to pay-off your debt! Consider for a moment… could you utilize that strategy that we have discussed? Also, one other topic this isn’t discussed enough, what if you could COMBINED 2 of the debt forgiveness programs simultaneously? For example, you could enroll in PSLF, work for a non-profit in an under-served area, and then at the SAME TIME, do a state forgiveness program for 2 or 3 or 4 years (whatever the minimum commitment is). This could hedge the bet of the federal government taking away the punch bowl from the party. This way you have substantially less debt no matter what happens. Material discussed is meant for general illustration and/or informational purposes only and it is not to be construed as tax or legal advice. Please consult your CPA or attorney for tax or legal advice.